Nanotechnology involves the manipulation or restructuring of matter nanoscale. It is still considered a relatively young science and engineering endeavor however it is growing into a field with limitless potential. Now particles can be engineered at the nanoscale, which benefits society in a number of ways from potential of extraordinary new properties to improve functionalization. The scientific disciplines encompassing nanotechnology include: Sciences, Engineering, Biology, Physics, Materials Science, Medicine, and Agriculture and Food Science. 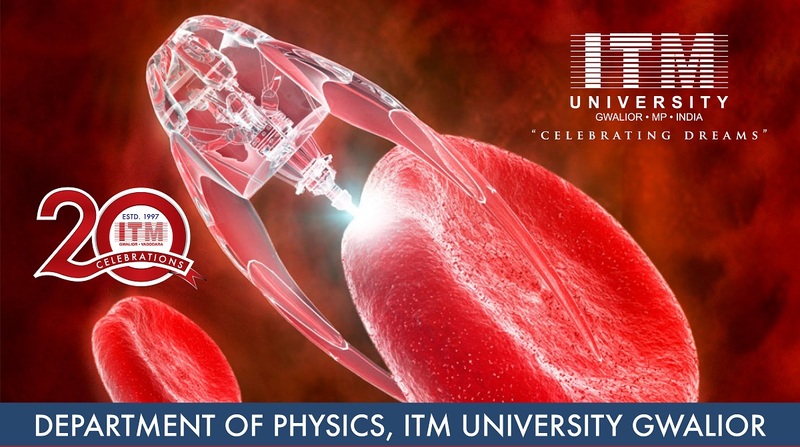 Keeping in view Department of Physics, ITM University is starting a Certificate Course on Nanoscience and Technology. 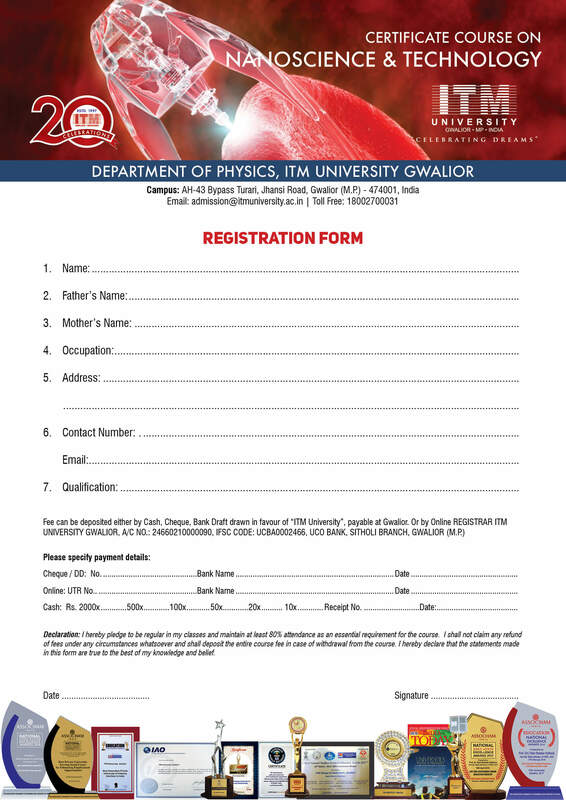 The course provide basic exposure on properties, synthesis, fabrication, characterization, and applications. 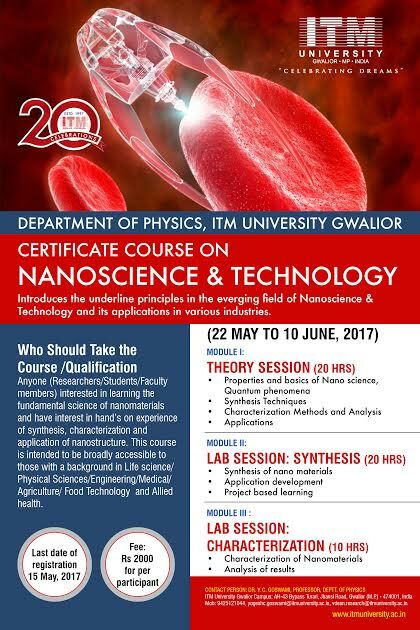 The course will help to sensitize and to incline students towards nanotechnology useful for various industries and professions.